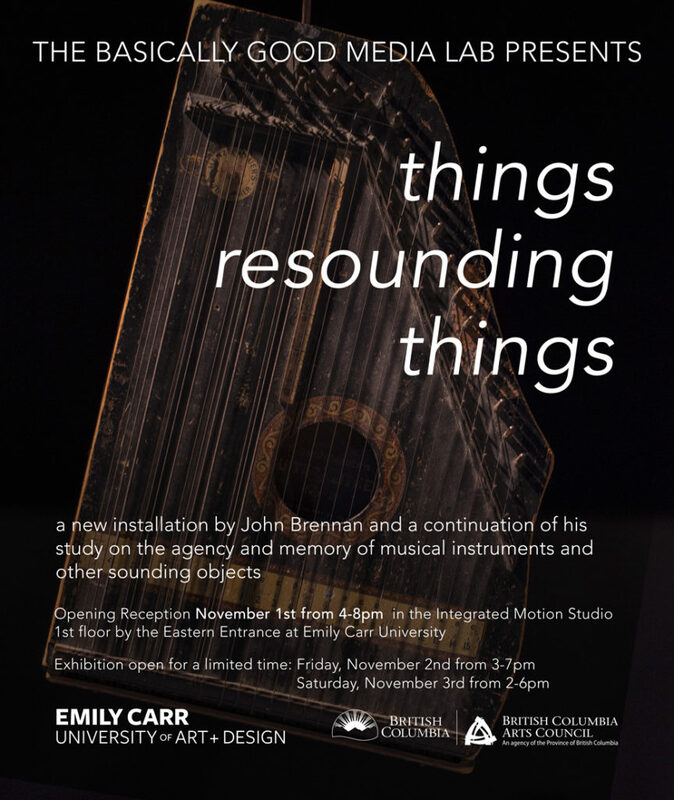 On October 31 I had the pleasure to visit John Brennan and his new and beautiful installation Things Resounding Things just before the November 1st opening at The Basically Good Media Lab at Emily Carr University of Arts + Design. Here are a couple of reflections instigated by John’s resounding space. Things Resounding Things is an emergent sound space for both an intimate and a collective experience within resonance. I feel deeply attracted by these kinds of spaces as I find them welcoming, activating, and bare to the point of listening and hearing. Here in fact they both seem to finally harmonize in new emergent ways of sound thinking. 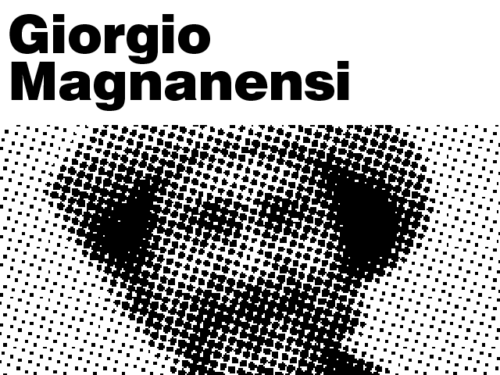 The emergence in this space, is rooted in an experimentalist approach in which discoveries are possible given the ability to create spaces and conditions in which things might happen, reveal themselves and be taken care of, beyond any sentimentality of expression. Emergence here is also the result of fertile environments where ideas emerge, sprout, form and transform when we can take care of ourselves as fully sentient being, constantly resonating with and within the world in its entirety, losing our grip on “wanting” as if we had the right to access and possess everything at any time. Though I’m not talking here about a pantheistic tension, but about a reconnected awareness of both our limitations and potentials when fully embodied human beings: personae.